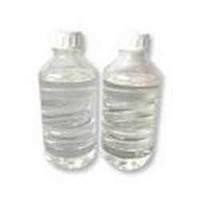 Solvent: Soluble in water, alcohol, i.e Methanol ethanol etc. Urea Formaldehyde Resin is a highly cross liked thermosetting polymer primarily made up of urea and formaldehyde with formaldehyde acting as the cross linker. Ther urea-formaldehyde reaction is acid curing and heat accelerated for forming a rigid, crystalling-like polymer. We are engaged in offering our clients a quality range of Urea Formaldehyde Resin Powder. These Urea Formaldehyde Resin Powder is a powdered form of standard urea formaldehyde resins. It is an easy to use, long shelf life and easy to transport powder product. These products are available at competitive prices in the market. Urea formaldehyde resin powder is a powdered form of standard urea formaldehyde resins. As an easy-to-use, long-shelf-life and easy-to-transport powder product, it is used in water dispersion and applied in combination with hardeners, fillers and modifiers according to users’ technical formula. MF resins are aqueous solutions of rather low molecular condensation products of formaldehyde and melamine, in many cases modified with certain additives. These resins are characterised by 55-60% solid content, a low viscosity and a colourless and clear appearance. Relying on our expertise in this domain, we are engaged in offering Melamine Formaldehyde Resin to our respected clients. We bring forth an extensive range of Urea Formaldehyde Resin that is authentic in nature and is chemically balanced. Our entire product range is non-toxic in nature and is free from harmful impurities. They are used in varied scientific labs and ensure wide usage. 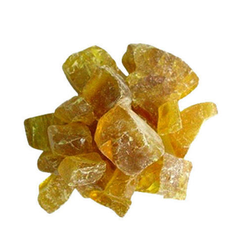 Acetophenone is the organic compound with the formula C6H5C(O)CH3. It is the simplest aromatic ketone. This colourless, viscous liquid is a precursor to useful resins and fragrances.